The boy & girl who met in dwarf country. They played trick on the watch and then times go back to round and round the reverse rotation. The arrived place call "Zipangu" which is long ago Japan. She just realized she wearing very cute Zipangu princess kimono dress. They are colorful and beautiful design. And she wearing "glittery sequins rainbow watch" on her arm. It was make over also her watch and clothes. 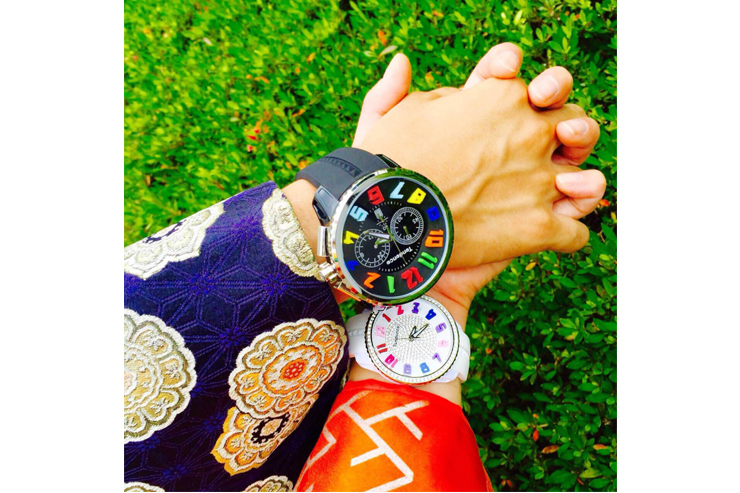 The Boy wearing "chic black and colorful the face of watch. Town of people say hi to him politely. He got Blush. This travel going to many different places guide by this watch. It seems like also changing fashion with the watch. They found small Yakatabune(Japanese houseboat) near by the river and they heard Shamisen(Japanese traditional instrument) music. She looked at the watch just told time her time of departure. The boy and girl took a boat and going down the river. Then enormous cloud in front of them. At the moment, the watch began giving out flashlight.